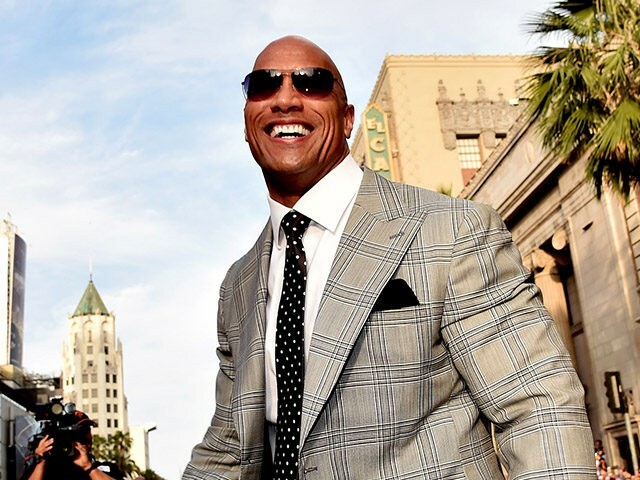 Following the success of Donald Trump’s presidential campaign, actor and former wrestler Dwayne ‘The Rock’ Johnson has revealed he is also considering a bid for the presidency. Despite reportedly being a registered Republican, it is unclear whether Johnson would run on a party platform, or as an independent, having not endorsed any party or candidate in the 2016 race. “I completely disagree with it. I believe in our national security to the core, but I don’t believe in a ‘ban’ that bans immigrants. I believe in inclusion. Our country was built on that, and it continues to be made strong by that. And the decision felt like a snap judgment. I feel like the majority of, if not all, Americans feel that protection is of huge importance,” he said. “But the ideology and the execution [of national-security initiatives] is where we really have to be careful of not making those snap decisions, because there’s a tail effect … Within 24 hours, we saw a ‘tail effect.’ It grew to heartache, it grew to a great deal of pain, it grew to a great deal of confusion, and it had a lot of people scrambling,” he continued. Last week, in an interview with Variety, left-wing filmmaker Michael Moore called for Johnson to run as the Democratic candidate in 2020, arguing that Democrats need to put forward more Hollywood actors to appeal to the wider public. “Run the Rock! Run the Rock. Who do you want for a commander in chief? I want the f—ing Rock! It would scare anybody that would hurt us,” Moore said. “Why don’t the Democrats run Tom Hanks? Why doesn’t Oprah run? Why don’t we run someone that’s beloved by the American people?” he added.